At the October 2012 meeting of the Folk Art Society of America's National Advisory Board (NAB), a proposal was adopted to initiate and fund a scholarship for students in folk art-related fields. NAB members Carol Crown and Wyatt Collins were appointed to work out the details of this proposal and to formulate a method and system of choosing the person(s) who would receive these scholarships. To support the study and teaching of folk art at institutions of higher learning in the United States, the Folk Art Society of America has initiated an annual scholarship to be awarded to an undergraduate or graduate student majoring in fields such as American studies, art history, folklore, history, museum studies or related disciplines. Applicants should demonstrate an interest in teaching folk art at the undergraduate or graduate level. The stipend is intended to enable the recipient to attend all events at FASA’s annual conference and symposium by helping to defray airfare and lodging expenses. In addition, the society will waive conference fees for the recipient. Must have at least 3.0 GPA on a scale of 4. Nomination or self-nomination by March 1. Questions should be directed to ccrown@memphis.edu or call 901-678-5317. Announcement of the award will be made by May 15, for implementation in the fall semester of the same year. Composed of two members of the National Advisory Board (including a member of higher education faculty); two members of the FASA Executive Committee; and the FASA President and Chief Financial Officer, ex officio. The committee chair will be appointed by FASA’s President. The chair is responsible for placing the Call for Nominations. After receiving nominations, the chair will send a packet of materials outlining the criteria and the process that will be followed in the selection of the scholarship winner. If there are no nominations, the chair in consultation with the committee members will seek to identify suitable candidates. The committee will review final applications shortly after April 1, and recommend to the Board a suitable candidate whose name will be announced by May 15. 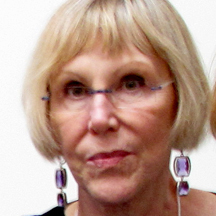 CAROL CROWN is Professor Emerita of Art History at the University of Memphis.